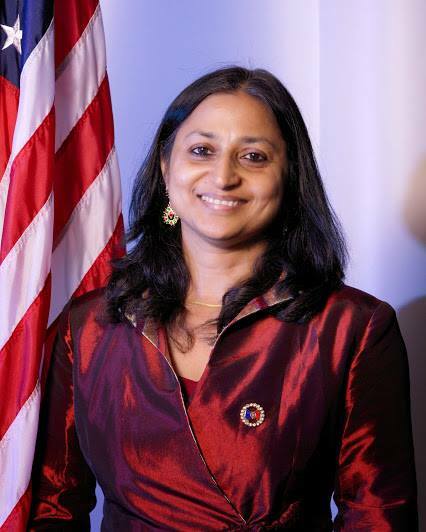 Bhubaneswar : Savita Vaidhyanathan, the first Mayor of Indian origin from Cupertino city, the headquarters of Apple in USA, has started her visit to the Temple City as the deep-rooted cultural ties have brought the two cities of together, though both the urban centres are 8,065 miles away from each other. Cupertino and Bhubaneswar officially began a sister city relationship on November 24, 2012, with the signing of a memorandum of understanding (MoU) by the mayors of both cities. The Cupertino-BBSR Sister City Initiative (CBSCI), a community-based non-profit organization, fosters positive multi-cultural interaction and understanding through art, culture and education exchanges. This community-based non-profit organization also aims to engage individuals and institutions in helping both cities to be sustainable. 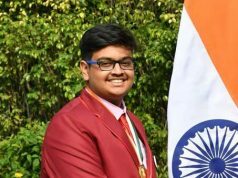 Activities include events and programs, as well as visits to Bhubaneswar by Cupertino city government delegations and members of the Rotary Club. The organization participates in the Diwali festival hosted during autumn by the Cupertino Chamber of Commerce. To foster positive multicultural interaction and understanding among people in Cupertino and in Bhubaneswar cities through education, culture and art exchanges and trade facilitation. CBSCI is engaging individuals and institutions in Cupertino and Bhubaneswar in creating sustainable Smart Cities through an exchange of environmental, economic, educational, and cultural and research ideas, expertise and resource. However, as the cultural, heritage and links with the rich traditions form the basis of the ties between the two historic cities, the cultural arts exchange programme is conducted through a fundraiser event in the USA. Other programmes like student exchange, special programmes, annual delegation visit once every three years also form a part and parcel of the CBSCI activities. However, to sustain CBSCI programmes, annual supporters form an integral part. Through the annual fundraiser the organisers are raising funds to keep these exchange programs going. “The visit of the Mayor of Cupertino means a lot for us as after becoming the first Smart City proposal in the country the Temple City has created a special place across the globe and the visit will also help the State Capital in getting more and more attention from sectors like Tourism and Information and Technology,’’ said BMC Mayor Ananta Narayan Jena. The Cupertino Mayor is also scheduled to visit Puri, Konark, Pipili, Dhauli, Gadakana housing project in Bhubaneswar, Khandagiri-Udayagiri, Rajarani Temple, Vending zone, BDA, BSCL, Secretariat, Berhampur and Gopalpur. She will also address a special session of BMC Council on Monday. It can also be mentioned here that apart from Bhubaneswar, Cupertino is also having Sister Cities relationship with Toyokama in Japan, Hsinchu in Taiwan and Copertino in Italy. 1. Cupertino Mayor shall interact with his counterpart at BMC Conference Hall on 23rd October 2017 at 11 am. In the meeting the delegation will be oriented on various development projects of BMC-BDA and Smart City. 2. Same day Cupertino Mayor will visit State IT Minister at Secretariat. 3. Local site seeing Bhubaneswar city, Gadakan Housing Project, Khandagiri and Udaygiri , Rajarani and Vending Zone. 4. On 24th Will attend some social organisation events.